We are pleased to welcome all of you to the Penang Bridge International Marathon (PBIM) 2018 Medical Forum to assist runners in their preparation, with less than a month to go before the PBIM which is happening this Nov 25. From “Running Injuries & Ways to Tackle Them” by Mr Bryan, we hope that participants can gain inputs from his sharing to avoid getting hurt and reduce injuries during the run especially for the 42km category. Elite marathoners often know that the preparation starts way before the events and as such, we have the second speaker who will be sharing on tips to “Eat Like A Champion” by Ms Mah. We also have the third speaker Dr Ng on “Health Issues and Injury Avoidance In Long Distance Running”, which I believe will come in useful regardless of whether you are amateur or professional runners. We hope that the information imparted during this forum will go in aid of the preparation of all runners in which we recorded more than 26,000 registrations this year. I believe that the forum will come in useful during your training as well as on the race day where all will be giving their best to meet the qualifying time as well as achieve their best personal results. With the runners in their tip-top condition, we will be able to accomplish a more competitive and healthy atmosphere which will see local and international marathoners next month. I wish you well in your upcoming preparations, and we look forward to seeing all of you soon. 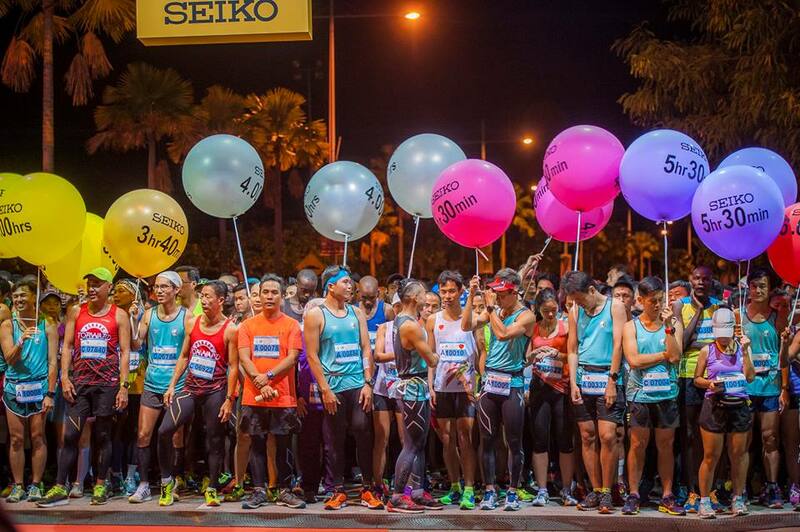 Thank you for joining us at the fashion show of Penang Bridge International Marathon 2018, a thrilling event which is happening this Nov 25 at the Queensbay Mall car park. This year, we are ushering in the much-anticipated event with more than 26,000 registrations for the Full Marathon (42km), Half Marathon (21km) and 10km run. Besides Malaysia runners, we have strong support from our neighbouring countries which recorded more than 290 marathon enthusiasts from Thailand, 283 from Indonesia followed by China’s 266 participants. We will also see international marathoners from all over the globe including United States, Canada, Iceland, Australia, New Zealand, United Kingdom, South Africa and many others. With this strong number, Penang is working on rebranding PBIM as an international marathon in our intention to emphasise on delivering quality, instead of quantity in order to ensure a more competitive environment for the runners. With this in mind, we will be giving away a total of RM259,200 attractive cash prizes for the top 10 winners of each category. This year, PBIM runners also stand a chance to become an owner of a new vehicle as we have two Perodua Axia which will be given away as our lucky draw prizes. One lucky winner can also look forward to a two-way trip from Penang to Guangzhou, courtesy of China Southern Airlines. I would also like to take this opportunity to thank the sponsors including Brooks, who has showed their strong support stepped forward as the official apparel for runners this year. We also extend our sincere appreciation to SEIKO the official timer, EMICO the official medal sponsor, 100 PLUS the official isotonic drink, Asia Green the venue sponsor and other notable sponsors.